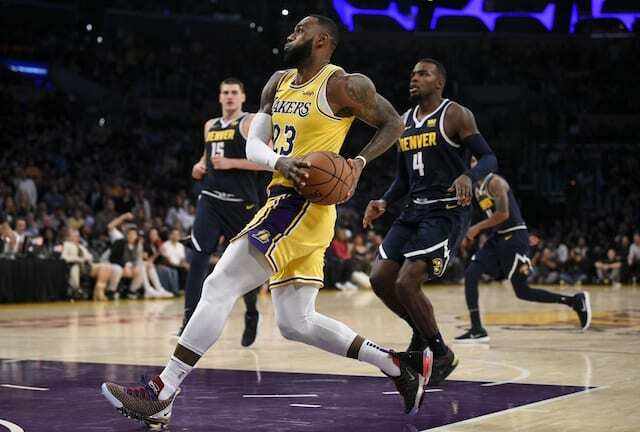 The Los Angeles Lakers very much looked the part of a team playing the second night of a back-to-back and played with better activity as the game wore on to defeat the previously undefeated Denver Nuggets, 121-114. 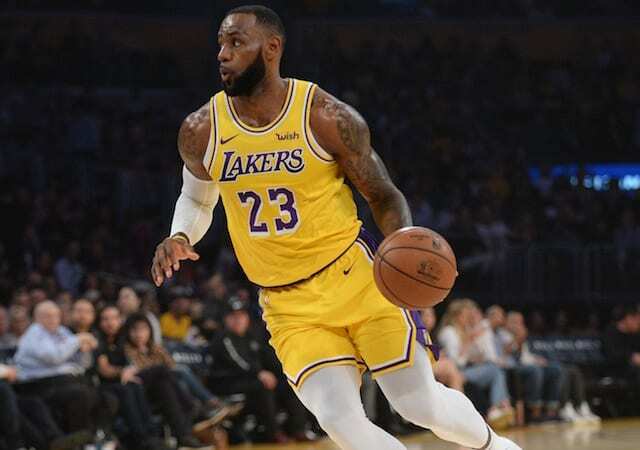 LeBron James had 28 points, 11 rebounds and 11 assists for his first triple-double with the Lakers. 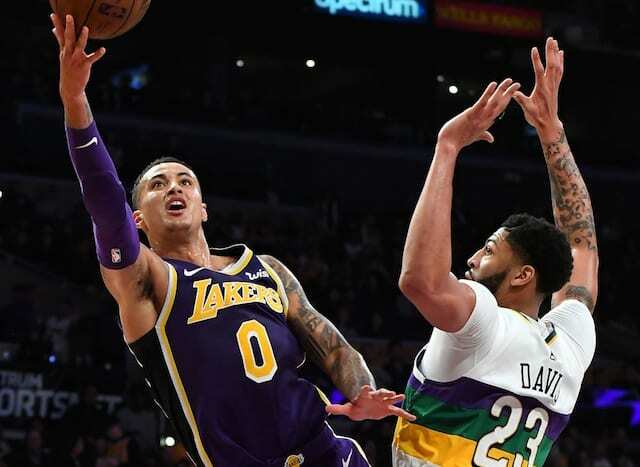 The Lakers appeared to have their sea legs under them come the third quarter, when a good spurt allowed them to take a six-point lead that coincided with James closing in on his triple-double. But the Nuggets responded with a 14-6 run to close out the third quarter and take a slim lead into the fourth. It coincided with James heading to the bench and the Lakers having difficulty in containing Jokic down low. 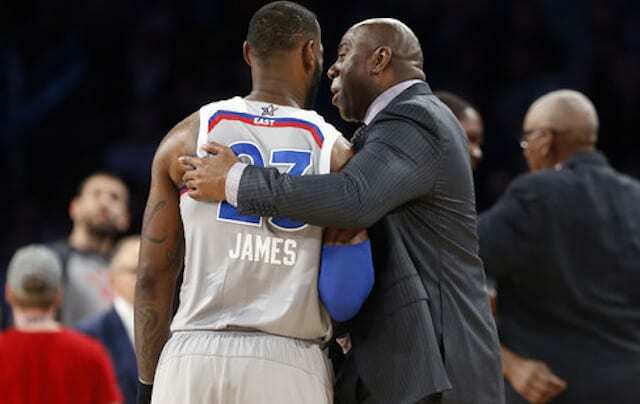 Lance Stephenson scored eight consecutive points while James was on the bench to help keep the game close. Hart’s two free throws tied the game with less than four minutes remaining the game, when James re-entered. Stephenson immediately hit him with an outlet pass for a go-ahead slam dunk to give the Lakers a lead they never relinquished. The triple-double was James’ 74th of his career, fifth against the Nuggets and third at Staples Center. 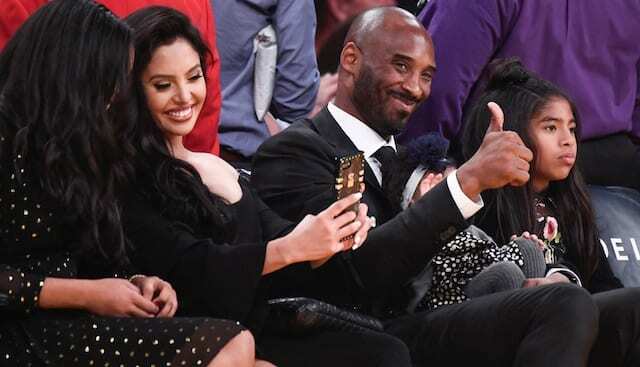 He also became the first Lakers player with a 20-point triple-double since Kobe Bryant (Dec. 30, 2014). There weren’t any extracurricular activities between Lonzo Ball and Jamal Murray in their first time meeting since last season’s taunting incident and ensuing games that were similarly contentious. Ball did pick up Murray the full length of the court at times, and had a steal and layup to show for it on one sequence. Murray did have 22 points and 10 rebounds to accompany another strong game from Jokic, as he led the Nuggets with 24 points and 10 rebounds himself. Ball stuffed the stat sheet with 12 points, 6 rebounds and 8 assists in his third straight start. 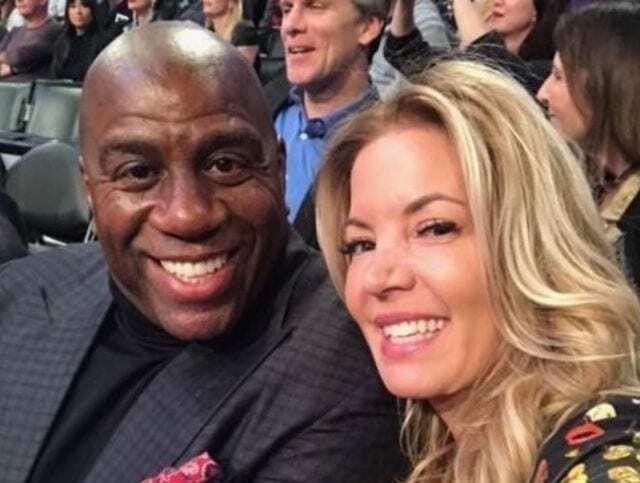 One night after seven Lakers scored in double figures, they had six such players, including all five starters and 21 from JaVale McGee to give him back-to-back games with at least 20 points.